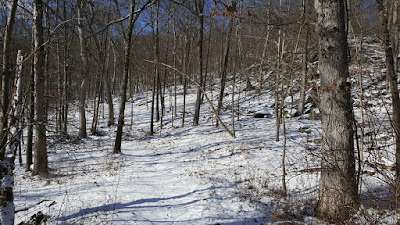 It had just snowed the day before about an inch from an Alberta Clipper system. 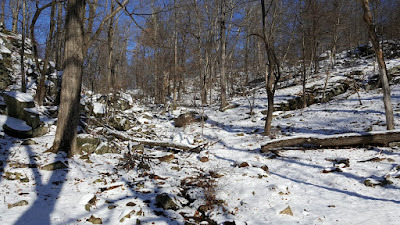 The next morning I went on a very short hike on the way to work to enjoy the snow before it all melted (it was all gone later in the day.) 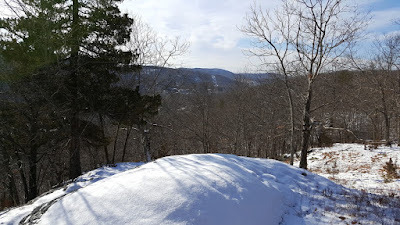 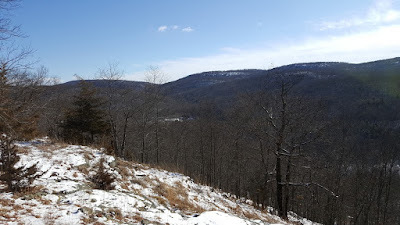 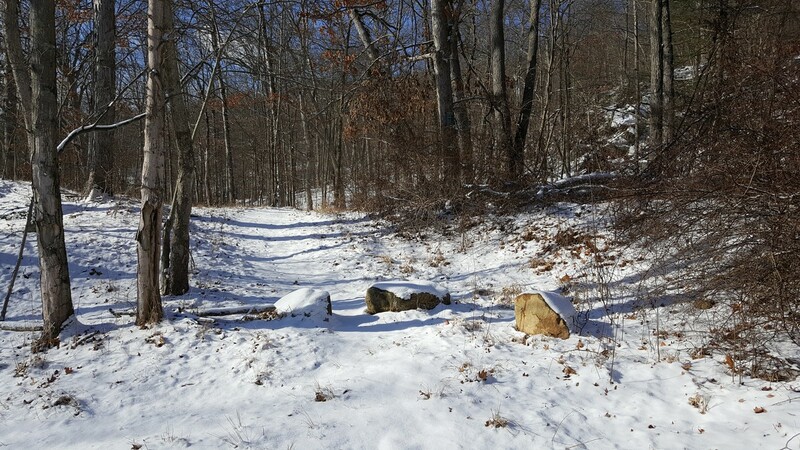 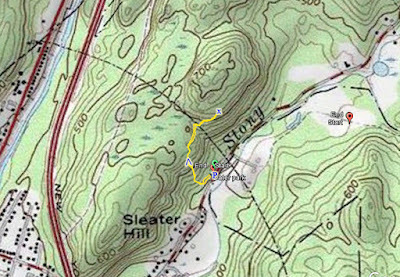 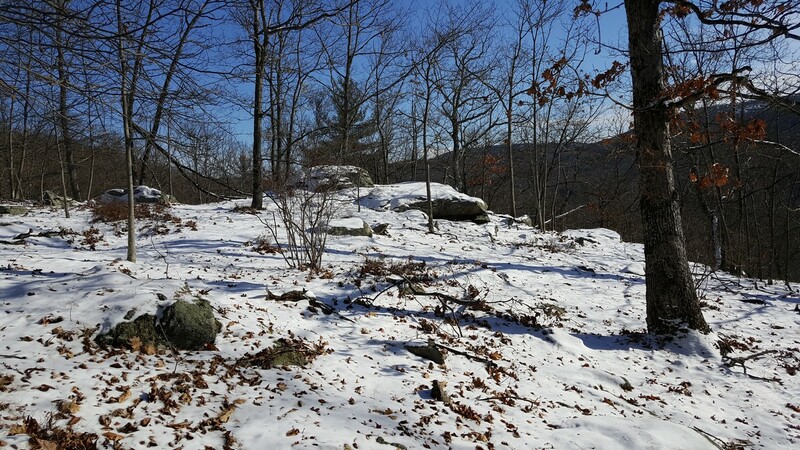 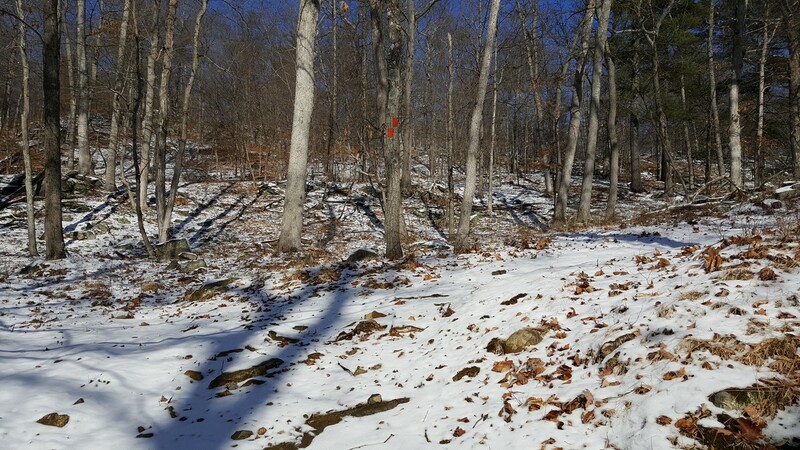 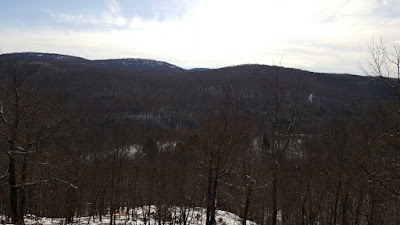 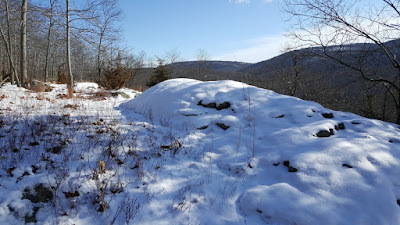 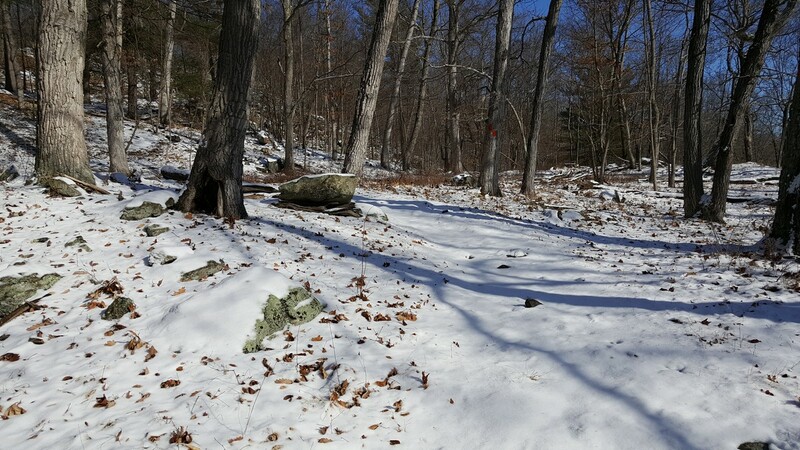 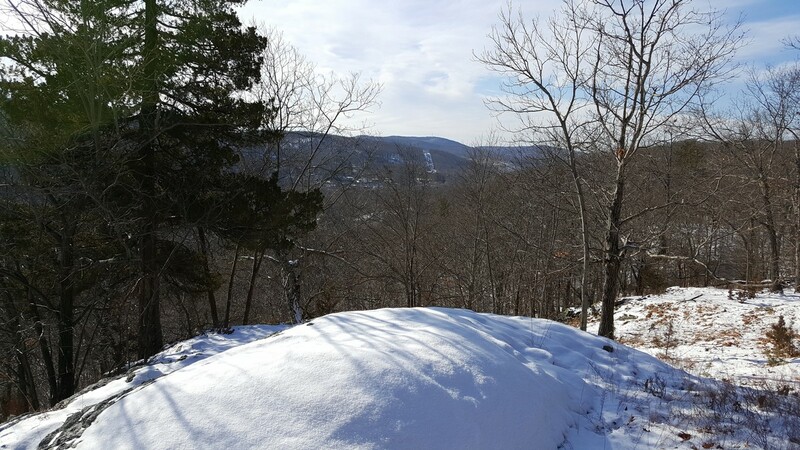 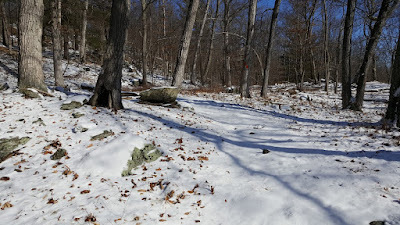 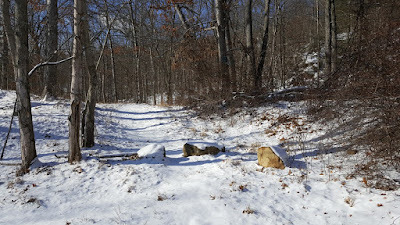 I parked at the Dater's Mountain Park Trailhead, and took the Orange Trail up the mountain. 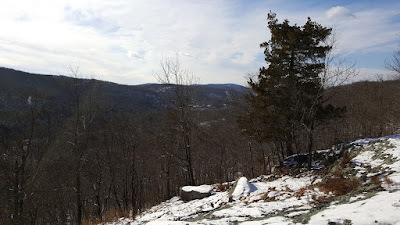 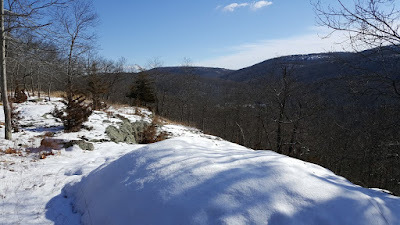 After crossing the brook and the valley, I reached the view, which faces across the Stony Brook Valley into Harriman State Park. 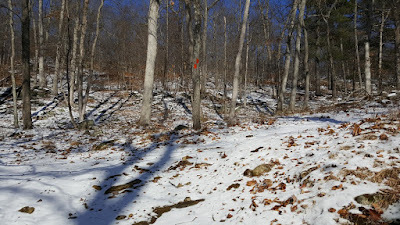 I then turned around and went back the sme route.